One of Europe's enduring legacy carriers KLM, the Royal Dutch Airline is launching a new economy class service on its intercontinental daytime flights out of its home base of Amsterdam. The new meal service will include a choice of warm dishes, a large, well-filled salad, and a dessert. On medium-range and longer intercontinental flights the, selection of snacks will be further extended with ice-creams, sweets, and savoury snacks. Passengers will also be welcome to collect these snacks in the galley. The popular airline says the new service will be introduced on flights to the following nine destinations on 1st July this year: Bonaire (via Aruba), Entebbe (via Kigali), Fortaleza, Osaka, Hong Kong, Vancouver, Seoul, Rio de Janeiro and Houston. Then at the start of the winter schedule on 28th October, the service will be available on all of KLM's intercontinental flights. 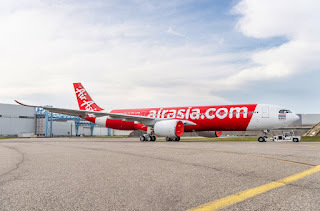 The flights are subdivided into daytime and night-time flights, but also into three different distance zones, namely - short-range intercontinental flights, medium-range intercontinental flights and long-range intercontinental flights. The overall service will be adjusted per zone, so that it best coincides with the biorhythms of passengers. Passengers will, as always, be served a range of alcoholic and non-alcoholic beverages aboard every flight. 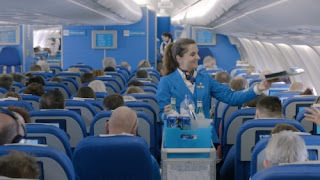 KLM are bringing in the new economy service partly because of the new collective labour agreement made with cabin crew includes a clause that one less crewmember will be assigned on many intercontinental flights. Consequently, a more efficient Economy Class service is required. By better utilising the space on meal trays, trolleys can be stocked with more trays, ensuring that passengers are served more quickly. The new service is also more in line with passengers’ wishes, in that the amount of food and drinks served remains the same, while the quality of the service improves. KLM strives to ensure that its in-flight catering is as sustainable as possible and therefore the airline will have UTZ-certified or Fairtrade chocolate and coffee is served. On all flights out of Amsterdam, KLM exclusively serves chicken and egg products that are certified and have been produced in an animal-friendly manner. For these efforts, KLM has won the Good Egg Award and the Good Chicken Award. 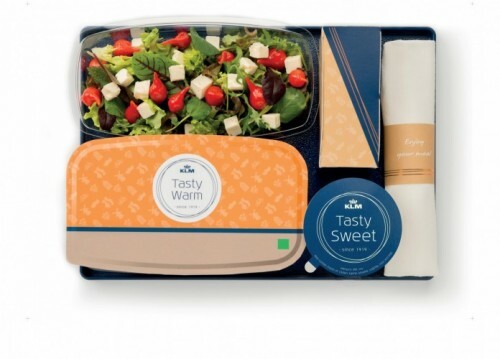 Wherever possible, sustainable catering is provided on flights to Amsterdam as well. The new intercontinental Economy Class concept has also been devised with sustainability in mind. 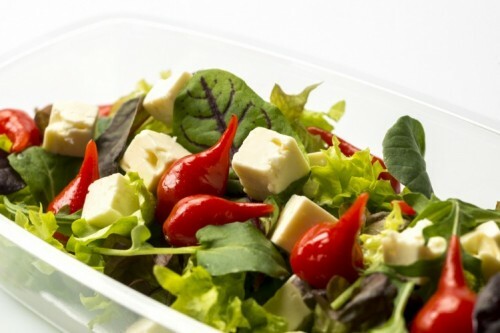 The new trays and cutlery are lighter than before, which helps to reduce CO2 emissions. In addition, the paper placemat on the tray has been removed, which means millions fewer sheets of paper are required annually.